85. To defeat their true enemy, they’re putting all their power into one attack, and they won’t miss!! 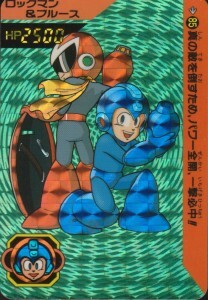 I really like how you can see the inside of the Blues Shield there, even though it appears like he can only properly hold the shield with his left hand. 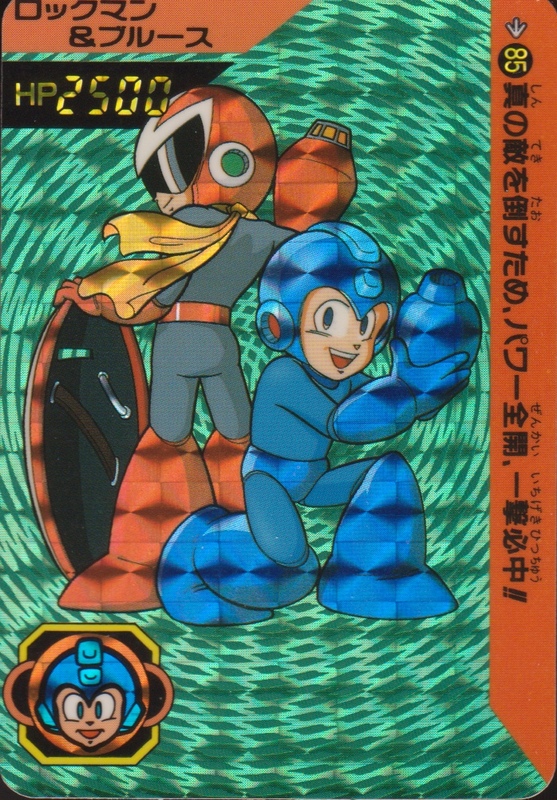 The hero match-up card became a staple of the Rockman card sets, and would be repeated within the Rockman X series with X and Zero. They’re usually some of my favorites by default. 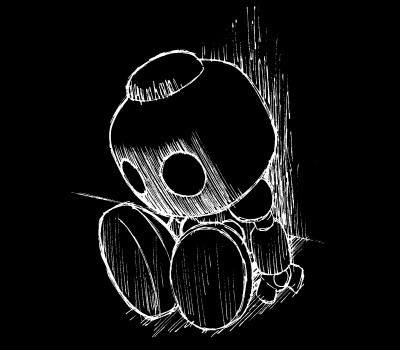 1 Comment to "Brothers Stand Together"